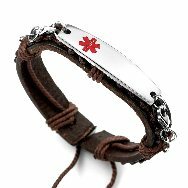 Medical ID Store knows how important it is to keep the boys in your life safe. 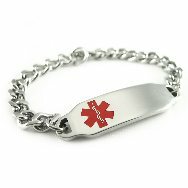 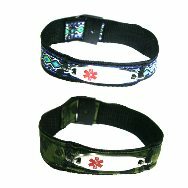 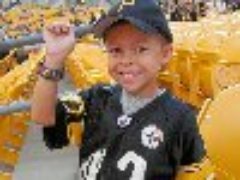 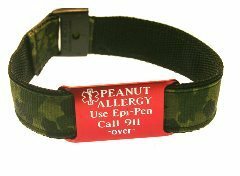 We have many styles of Medical Id alert bracelets medical id necklaces, medial alert sports bands that are interchangeable and medical id dog tags and watches too. 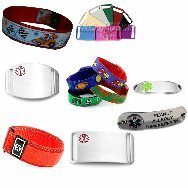 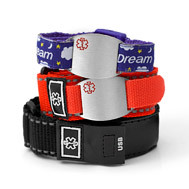 Medical Id Sports Bands, Stainless steel medical bracelets, interchangeable and adjustable medical id sports bands.